3-bedroom self catering cottage in Dumfries & Galloway with stunning views of Loch Ryan, the Mull of Kintyre and Ireland. The cottage is within a few hundred yards of the Scottish Coastal path (Core path so is ideal for walkers). 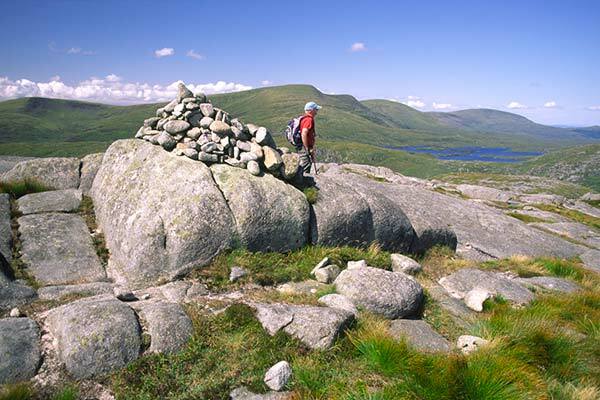 It is also close to the route of the Southern Upland Way; a 212-mile walk from nearby Portpatrick on the west coast of Scotland heading east across Dumfries & Galloway and then on through the Scottish Borders until you reach Cockburnspath on the east coast! If you fancy something a little less demanding, but equally spectacular, the Mull of Galloway Trail runs from the Mull of Galloway to Stranraer taking in spectacular sea and coastal views. The trail continues north and joins the Loch Ryan Coastal Path to South Ayrshire where it links with the Ayrshire Coastal Path. View Walking near Little Laight Cottage on a larger map. 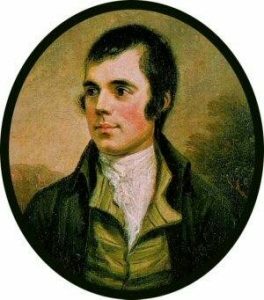 Also, read our news post: New Robert Burns Trials. The recently rebuilt Little Laight stands high on a hill above Cairnryan and faces south down Loch Ryan towards Stranraer. Part of the Loch Ryan Estate, and an old shepherd’s cottage before its rebuild, it offers stunning views of Loch Ryan, the Mull of Kintyre, and Ireland. Surrounded by rolling hillside and adjacent to an SSSI (special site of scientific interest) with only sheep, deer, cattle and a huge variety of birds as neighbours, Little Laight offers the perfect getaway for those wishing solitude, tranquility peace and quiet.